There has been a lot of buzz and disapproval around the word "sharing" in the term "Sharing Economy." While there is plenty to criticize (and praise) about the concept of the sharing economy, I get tired of people disparaging the idea simply because of its label. Call it the Sharing Economy; call it the Collaborative Economy; or call it the Aardvark Economy--it will make no difference in the growing trend of collaborative consumption and commerce that is changing the way consumers acquire and use goods and services. Today, people are picking on the term "sharing economy" because, in the words of a post on Harvard Business Review, "The Sharing Economy Isn’t About Sharing at All." The article is actually quite good, focusing on the motivations of those who participate in the sharing economy, although the author's conclusion strikes me as achingly obvious: People participate not out of a sense of altruism or community improvement but instead do so for economic benefit. Of those three definitions, only the last one implies the act of giving something for free (and even then, it is not explicit with respect to the lack of monetary exchange). The other two definitions focus on the division or mutual use of things. We have all shared things for economic benefit. We share meals and then divide the check. We collectively purchase and share weekend homes and hunting land. We pool money to share ownership of lottery tickets. We pay association fees to jointly own and share community services like pools and streets and pay taxes to share access to public parks and schools. We own shares of stocks (a term derived from the literal sharing of ownership). And at our jobs, we use and transfer funds for access to shared services such as Human Resources. 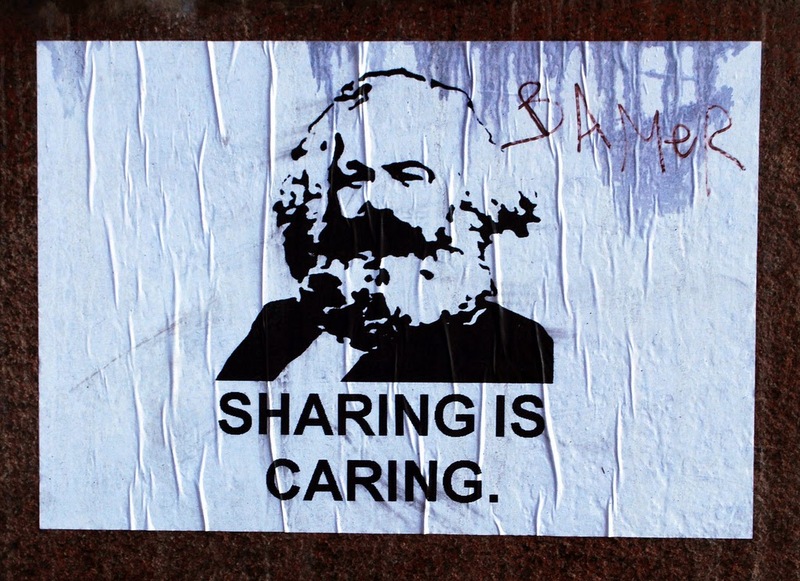 The word "sharing" does not (solely) mean giving or lending of things with no economic expectation; the definition of the word also includes the way things are divided, used and consumed. This is the sort of sharing implied by the "Sharing Economy" label. Those who do not own a car can access one thanks to Zipcar, a company that shares the cost of its distributed fleet of vehicles across its customer base. On Lending Club, people do not fully fund individual loan requests but share the risk and ownership with others. And today, small businesses can avoid the risk of long-term rental agreements by using services like PivotDesk to share office space and services with other SMBs. The reason I am so irked by the HBR article and others that make a big deal about the term "sharing" (such as this one and this) is that they can encourage those not paying attention to deride the important trend towards collective consumption. It is too easy to see such a critique and think, "Nothing new here--it's just the same old greed and economics." On one hand, they are correct--the individual drive to maximize economic power is as old as humanity; on the other hand, to ignore how new digital, mobile and social technology and behaviors are rapidly altering consumer attitudes and expectations is to miss how vital this trend will become to us personally and to our companies. Another reason I find these articles annoying is that they can shift the focus away from truly meaningful and concerning aspects of the sharing economy. Rather than debate whether the "sharing economy" label meets the kindergarten definition for the word "sharing," let's instead shine a bright light and have a robust discussion about the potential risks and societal impact of these nascent business models. Is the sharing economy "hurtling us backwards," as economist Robert Reich suggests? Does the growth of the sharing economy demand new forms of employee benefits and protections? Are collaborative companies behaving unethically? And what does this trend say about the role of government--do we trust sharing economy platforms to empower consumers to keep themselves safe, or do we want new government regulation to enforce safety norms? As funding for collaborative startups pushes past $11 billion and almost a third of Americans say they are open to purchasing products and services through consumer-to-consumer channels, the time has come to stop debating semantics and start considering the profound changes ahead for business, government, workers and consumers. Postscript: While I have no issue designating the trend as the "sharing economy," I have shifted towards using the label "Collaborative Economy," the term preferred by Crowd Companies' Jeremiah Owyang. That is not because people aren't sharing (they are!) but because the trends that are threatening traditional sales, ownership and consumption include new ways to empower people to collaborate on the development, production and distribution of new goods and services. In other words, Zipcar and Airbnb may permit us to collectively use (or share) today's products, but Kickstarter and Shapeways are furnishing new ways for consumers to develop, distribute and promote new products. The word "collaborative" better describes the breadth and diversity of these innovative business models. Thought provoking. I feel like collaborative is a bit more descriptive, while language is certainly very important, I love your point about having a dialogue about the actual concept. There are certainly plenty of issues and implications. Thanks Praxis. I don't disagree that "collaborative" is a better word, but I'm tired of the sense of superiority and derision from some that the sharing economy isn't driven by an altruistic drive to "share." I think that simply misses the point.